Darts superstar Rob Cross’s bid for a third consecutive Unibet Premier League victory has been checked by the wintry weather. The reigning world champion from St Leonards was due to take on two-time former world champion and world number four Gary Anderson at Westpoint Exeter tonight (Thursday), but the event has been cancelled. A statement from the Professional Darts Corporation (PDC) said: “Following heavy snow across the UK and Storm Emma, the Met Office issued a red weather warning for the south-west of England this morning. “The PDC was informed by Westpoint Exeter this morning that local authority and police advice for the region was for no non-essential travel to take place, and there were severe concerns over the safety of spectators and staff both accessing the venue and then leaving after the show. “Therefore, regrettably the show will not take place on Thursday and all ticket holders should contact their point of purchase (SeeTickets or TicketZone, the event’s official box offices) to receive a refund. At present, the Coral UK Open is still planned to go ahead from tomorrow to Sunday at the Butlin’s Minehead Resort. Fans and players travelling to Minehead are advised to check local weather and traffic alerts and to leave extra travelling time. 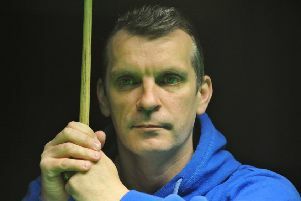 Cross, the world number three, lies fifth in a closely-bunched league table in a Premier League - a 16-week roadshow event involving 10 of the sport’s top players. The Unibet Premier League is broadcast live on Sky Sports and shown worldwide through the Professional Darts Corporation’s international broadcast partners.